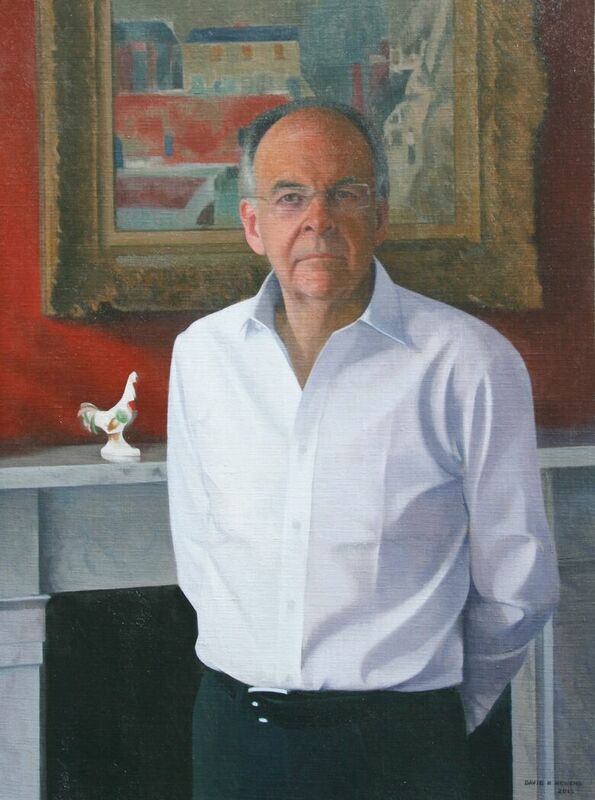 Lord Falconer has been the subject of several portrait paintings by other portrait painters. This is the first portrait following Lord Falconer`s loss of a third of his body weight following a new diet/fitness regime. Consequently, it was appropriate to use a standing pose to give emphasis to his new shape. Placing the figure against the painting on the wall, a "frame" for the head within the painting, helped provide a strong composition.